Your hardwood floors add a lot to the look and the overall value of your home. If you’ve been thinking about replacing them, consider refinishing them with Fabulous Floors Baltimore! 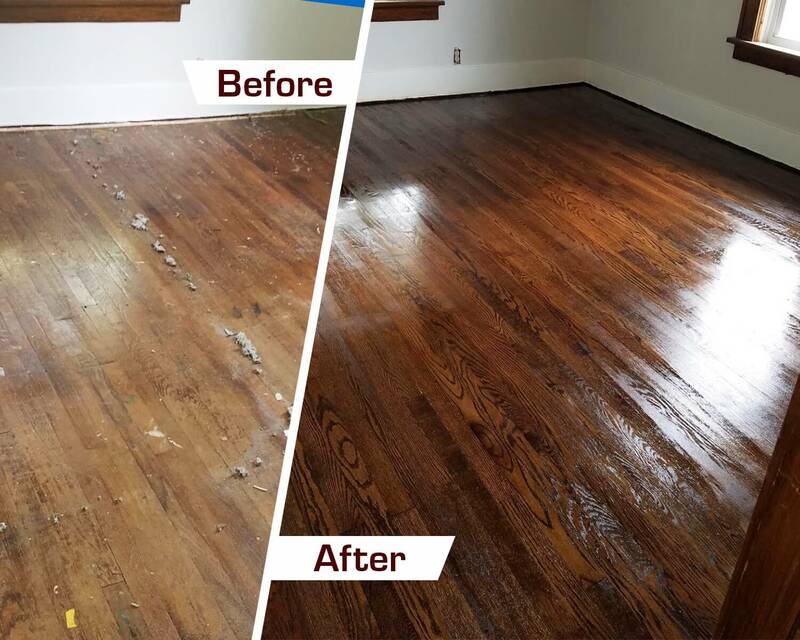 Refinishing is a much less expensive option compared to replacing your hardwood floors. We offer professional hardwood floor refinishing in Catonsville, MD and the surrounding areas. We can assist in transforming your hardwood floors into how they looked when they were originally installed. Our experienced technicians are both friendly and hard working. You can be confident that they have the knowledge and expertise required to deliver results that you’ll love. Get in touch with Fabulous Floors Baltimore today to start your next wood floor refinishing project! We’ve developed a proven floor refinishing process that takes us just 1-2 days to complete. We start by using our innovative sanding machine to sand down your hardwood floors and make them smooth again. It is during this step of our refinishing process that we eliminate any existing nicks, scratches, or dents. Also, our sanding process is virtually free from any dust so you won’t have to leave your home while we are there, and there won’t be a big mess to clean up. Next, we’ll stain your hardwood floors with one of our oil-based stains. We have a large selection for you to choose from and can help you pick the perfect color for your home. Lastly, we will apply 2-3 coats of our high-quality polyurethane finish. This will help protect your hardwood floors against any future damage and give them a nice finishing touch. We take our responsibility for the environment seriously at Fabulous Floors Baltimore. All of our products and services are completely GREENGUARD Certified, meaning they have passed strict environmental standards. You can have the peace of mind that your family and loved ones will be completely safe when we are refinishing your hardwood floors. Catonsville will not be harmed in any way as a result of our services. Trust Fabulous Floors Baltimore to do the job right the first time.